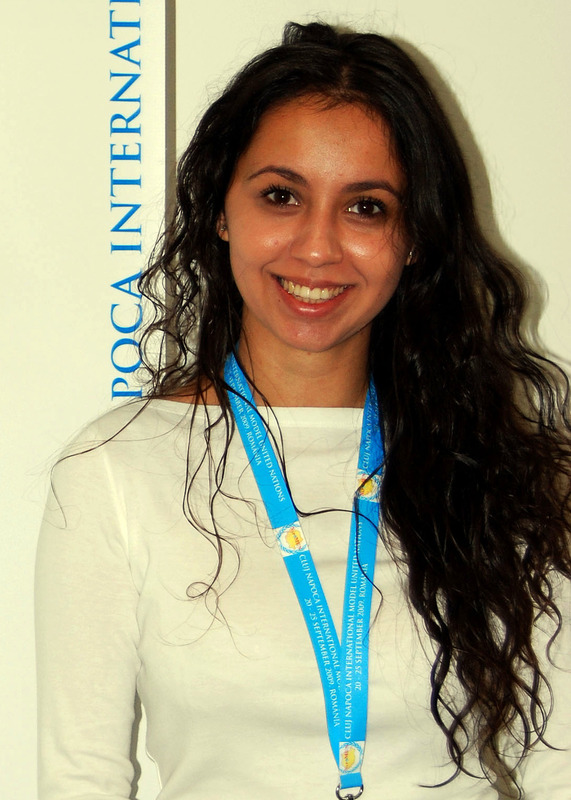 Alexandra Matei is a 24 year old passionate and enthusiastic young woman with 7 years work experience in the non-profit sector. She is also a trainer and consultant on peace issues and youth leadership. She has managed to work for the Council of Europe on youth rights, set-up her own NGO and was responsible for training and coordinating young leaders from more than 20 countries! Through her work and educational projects, she has managed to study, work and live in Romania, UK, Norway and China. She is currently living in Galati, Romania, from where she is willing to cooperate and work with like-minded NGO’s and institutions, in need of a fast-forward thinking, hard-working, passionate professional. I have had the fortune to meet and befriend Alexandra in 2007, at a training on “Gender Inequality and Violence against Women”, held by PATRIR (Peace Action Training and Research Institute of Romania), in Cluj-Napoca. I was besotted with her energy, enthusiasm and fresh ideas! As you will discover, she has LOTS to tell you! 1) I am an endless optimist who never gives up on people, hopes or dreams, as I truly believe that if you nurture love, life becomes an infinite ocean of possibilities. So, the bigger your dreams are, the higher you reach. The more you give, the more you receive. 2) I am a happy person, feature that I most probably got from my curly hair with whom I surely have a complicated relationship. I’ve always though that my hair and me, we have different personalities but I’ve recently discovered it was a mere illusion, so I embraced it. 3) Old fascinates me: I collect old coins, I like my photos printed out in a leather album, I feed from my childhood memories with a lime-tree blossom fragrance and I treasure my great-grandma’s war stories and my family heritage. 4) I am always in love – with people, books, nature, and animals, love that was born out of my childish curiosity for the unknown. I had the luck of being raised to question everything and I do not fancy fitting in any box whether it is blue (my favorite color) or round or slightly bigger than others. 5) Doing what is right, always, is what I am struggling with. As people, we have a tendency of knowing what is right and wrong (depending on different frameworks of thought), but the challenge is to do what is right although it’s not what’s best for you. Life is unpredictable. I don’t have a clue where it will take me, but hopefully I will be doing what I am passionate about and possibly, I see myself working for the United Nations or another international organization in the advocacy sector. 2. What are some of your passions and what motivates you the most in your work? My parents always tried to find in me different hidden talents or passions – I hereby thank them for their continuous efforts. As a stubborn, way too energetic child and later on teenager, I tried dancing, theater acting, poetry, even singing (although I am the most terrible singer) – but I did not see the spark, so I took on the venture of my parents to keep on searching for my passions. 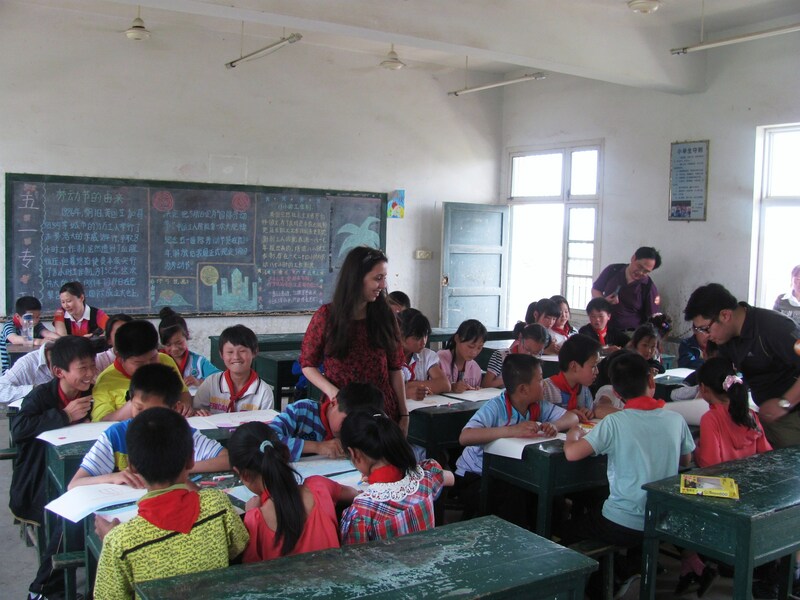 In 2005, after I started volunteering with children from underprivileged families and orphans in my home city, Galati, Romania, it finally hit me – I have been looking for my passions in the wrong place. My passions were, in fact, not my own. My passion was and still is the people that I work with, the happiness, the change, the love, the help I manage to offer to others. I learnt that nothing makes me shine brighter than my work in the service of the most vulnerable. Now, let me clarify one aspect: everyone is vulnerable; some do not have access to water, food, a secure and safe environment, but the most needy ones are the ones that live in ignorance! Thus, my passion is to assist communities to a better access to education, to human rights protection but also to knowledge, awareness and awakening. Being able to travel, live and work in different countries and cultural communities I could also see the other side of the coin – an unjust, discriminatory, painful, poor environment where survival is one’s dream and natural right. So, my motivation feeds on these people’s lost dreams, hopes for an inclusive and just future. My motivation is my passion and my passion is the people. 3. You have worked with youths in different projects, over the course of 7 years. What can you tell us about their needs and how can we address them, at the beginning of this Century, with all its tribulations and tech-saviness? I sometimes feel that this development in terms of technology and institution -building took us by surprise. While others are still fighting over land properties, children are educated into war and women are mutilated on cultural beliefs, a few of us (in comparison with the majority of them) have twitter accounts and follow news on our mobile phones, get to connect with people via blogs, Facebook, Skype etc. What does this tell us about priorities and global responsibility? That we, as individual citizens of a global inter-dependent world, lack behind. 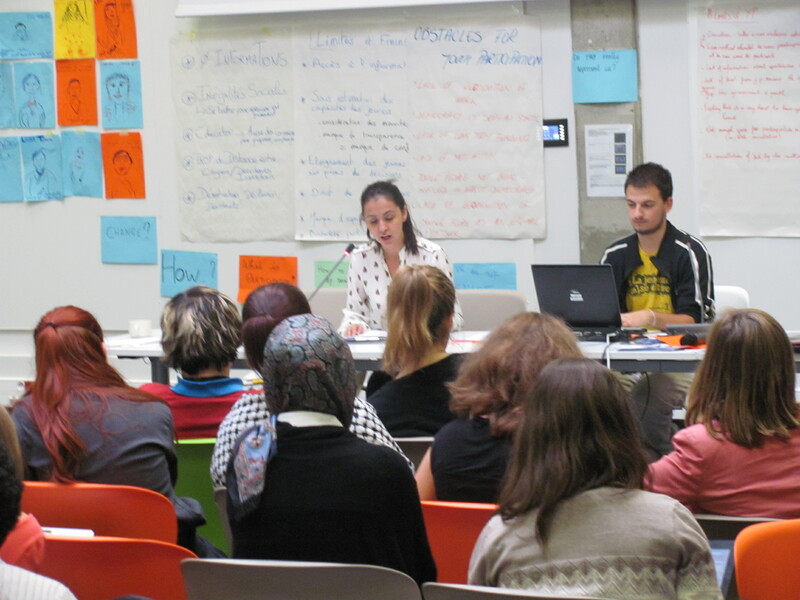 As a General Raportteur for the Council of Europe, Alex presided and participated in the Youth Assembly, which took place within the framework of World Forum for Democracy, in Strasbourg, France, Nov. 2012. This is what happens in Romania itself, and Europe in general. Surely, youth are facing a challenging time, a challenge that spans across all sectors: economic, social, cultural and political. 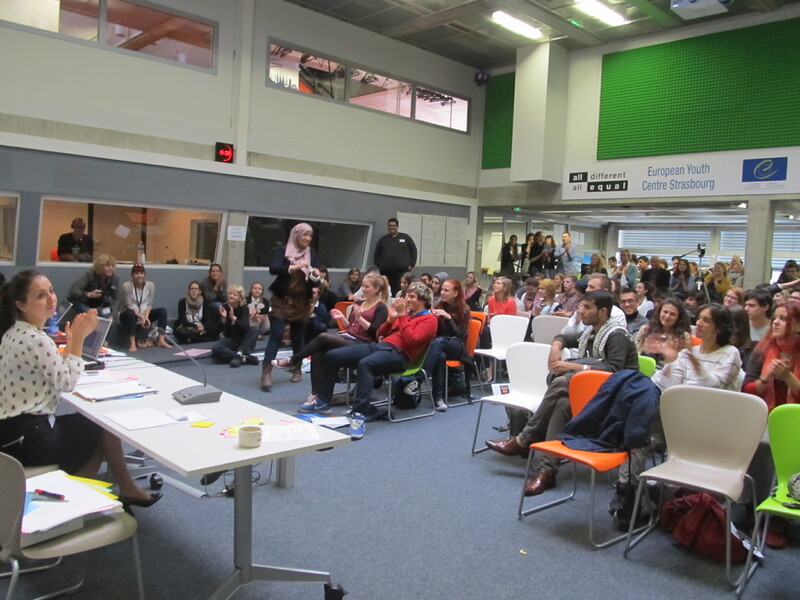 With the increasing number of political demonstrations, riots (the famous 99% Campaign) and actions for change inspired by youth, we can definitely talk about a global movement that puts young people at the core of decision-making. Although youth have been portrayed as a sacrificed generation, I had the opportunity to work in this sector and claim differently. Yes, youth are being disadvantaged due to the political and economical climate in which they develop, yet, creative and sustainable projects are being designed and implemented globally. Before anything else, young people struggle with creating a bridge between youth and public authorities and institutions. This occurs mainly due to the necessity to come up with inclusive and sustainable solutions for the problems they face with. I am talking about the need for better access to education especially for those coming from rural areas where, unfortunately, in Romania we still have a high illiteracy rate. We are in high demand for a better educational system throughout Europe, one that transcends from its traditional approaches to one which is focused on creativity and critical thinking – in this respect, the technological advancements paved the way for this change. I am also referring to access to mobility which brings an invaluable value to shaping youth’s professional as well as personal development. Besides, young people are also trying to find a way in which volunteering and non-formal education is recognized as a channel of training and work experience. Romania is still trying to catch up with the international developments on youth policies and youth engagement. The civil society, particularly in Romania, did not manage very well to shape the culture of volunteerism, although I believe we are on the right track and I am certain we will have great achievements in this area. I base my hopes on the excellent work of different national NGOs such as “The Romanian Youth Council”, the “New Horizons Foundation“, “The League of Romanian Students Abroad” and many more that I worked with or am familiar with their developments. As I mentioned above, it is essential to have a bridge between youth and public authorities. A co-management initiative has been set into motion by many youth-led non-governmental organizations either at national, local or regional level. This could definitely be one way of approaching the demotivation and the mutual lack of trust of both groups. It remains to be seen how this will affect on the long-term the efficiency of NGOs and their beneficiaries. Yet, I would suggest that young people should have more expectations from themselves rather than from other institutions; and obviously, they should identify or establish means of pursuing their expectations. Given the heaven of information available to them, either from browsing or even their personal networks, youth can reach a large audience; can establish partnerships and collaboration with other young people who share the same needs and passions even if they are miles away. It is also true that Internet and its miracles can also have a negative aspect, in this sense, because information is widely spread and there is no complex system set in place that could ease access to information. So, indeed, there is this possibility of loosing track of relevant information. On the other side, there are many platforms that offer this type of access. One example could be SALTO training platform that is accessible to everyone. Therefore, youth is far from being a sacrificed generation or an alienated one. Young people have to deal with the deficiencies of a system that no longer represents them and their needs. It does not imply that youth cannot bring any positive change, because they are doing it as we’re speaking. It just means that it’s going to take us (me included) more determination and vision. I believe we are off to a great start! 4. What are, therefore, in your opinion, the most stringent needs of Romanian Youths? Currently in Romania, a young person with the age between 15 and 30 tackles with two major issues: education and employability. Despite the frequent changes of political color in the educational sector, a slow reform took place in this sector. Education expanded beyond classrooms either in the virtual networks – there are a few intellectually challenging online “universities” such as Coursera or institutes and/or NGOs who offer either free or paid training – either in the extracurricular area that being, volunteering. Non-formal education has received recognition from civil society actors and we are one step closer to an official recognition from national and international decision-making bodies. But we are not there yet. Many initiatives are raising awareness on the advantages this experience brings for the volunteer himself and the organization/society as a whole. I would not rush into stating that Romanian youth have fully undergone this transition phase. Volunteering as well as this openness for alternative means of learning requires the abandonment of stereotypes and the acceptance of Internet’s role in our personal and professional lives. Hence, young people need to be guided into this direction either by their tutors, family or friends. In Romania we need a culture of volunteering, we need to raise awareness on volunteering’s advantages and where it could take us: to a new educational level and system of thought! Education has also been positively correlated with employability. So, the higher your education level is, the higher your chances of employability. Due to the current financial events, low levels of employability also affected highly educated youth. Romania scored a total of approximately 47% in youth unemployment in comparison with Scandinavian countries where unemployment does not exceed 10%. This leaves Romanian youth with a major problem: postponing adulthood and/or immigration. With low chances of employment, Romanian youth (although this applies for Europe as well) lean towards investing in higher levels of education (Master, PhD) and even embark on unpaid internships in order to gain skills, thus, enhance their likelihood for landing in a job. Others decide to migrate in countries with better opportunities for accomplishment. Therefore, Romania is at risk of gradually loosing its guarantee for a bright future that’s ahead of us. 5. Starting with this year, you are the Vice-President and founding member of the International Organization for Young Diplomats, with its main headquarter in Galati, Romania. Tell us more about its mission, objectives and current projects as well as what motivated you, along with your partners, to start this NGO? The International Organization for Young Diplomats is a recently set up non-governmental organization that aims to promote youth and children who are in the process of their career growth by actively involving them in issues of regional and international interest. This organization aims to train them as young diplomats of the civil society, thus re-framing the concept of a diplomat. Also, we aim to develop a cooperative behavior towards the international community so that the projects developed by young people would have a sustainable and visionary impact. Currently we are in the phase of establishing our development strategy and we encourage young people who are interested and support our mission to join this enthusiastic team. Besides this, we are also involved in two big projects, “Rotaract International Model United Nations “ and “My World 2015 Campaign” which is a UN initiative through which citizens, especially marginalized and vulnerable groups can shape and influence decision-making. With many other projects on the waiting list, we hope to manage to create a global network of highly intellectual and visionary young leaders who can be ambassadors of their community’s needs. The reason I decided to establish this platform together with Mr. Dan Ungureanu was the lack of initiatives that targeted youth in a delicate phase of their development. Romania, as well as other countries, deals with youth unemployment as we discussed earlier. For this reason, we decided to engage the youth sector in a two-way development approach: first, by offering them the chance to develop strong skills in their area of expertise and secondly, by using their skills to help communities and promote global responsibility. We trust in children and youth’s power for change and the International Organization for Young Diplomats aims to train young people and deliver worldwide services using their skills and our resources. 6. You are also a Secretary General for Rotaract International Model United Nations, Baia Mare, Romania, starting with 2012. Tell us something about it: what it is, its mission and some of its projects. Rotaract is a sponsored service within Rotary International and is specially designed for youth. Through Rotaract, young people develop abilities and competences while addressing their communities’ needs. Its activities promote international cooperation and peace though its services and networks. Currently, there are more than 7.000 Rotaract Clubs in 163 countries. Therefore, Rotaract is a worldwide phenomenon! Moreover, Rotaract aims to have an impact starting from grassroots. 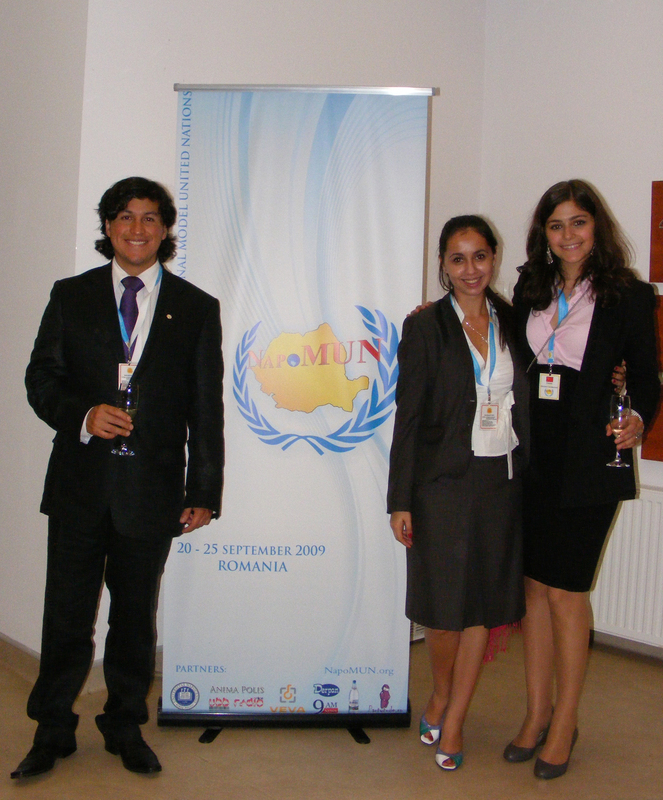 At NapoMUN, 2009: International Project that gathered youths from 20 countries and trained them in diplomacy, mediation and international relations. Its mission is to offer support to communities by developing humanitarian and social projects in order to promote globalization and peace. With the support of “Club Rotaract Team Baia Mare”, an international event that aims to give voice to youth and include them in the decision-making process is going to take place this August, between 21st and 25th. I have the honor to act as the Secretary General of Rotaract International Model United Nations that aims to bring young people’s solutions to global problems on the UN desk. To achieve this dream, Rotaract International Model United Nations promotes excellence in education, professionalism in organization and integrity in performance. 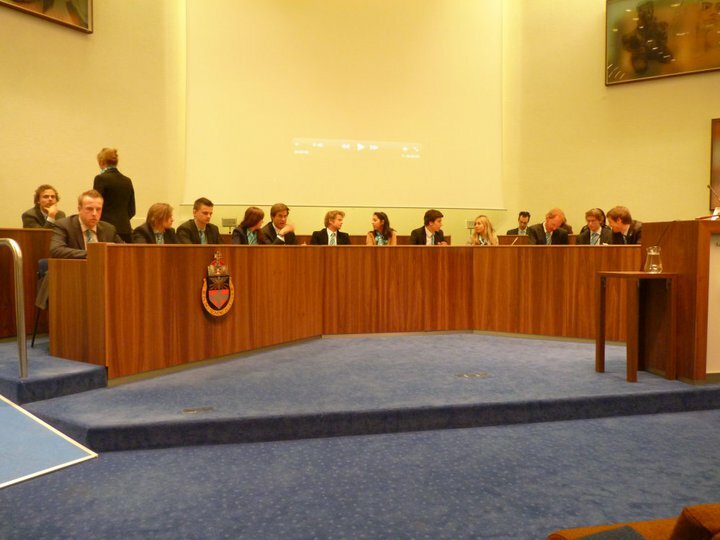 Following the historical structure of the United Nations mechanism and its procedures, Rotaract International Model United Nations 2013 simulates four councils: The Security Council, Human Rights Council, Economic and Social Council and the Peacebuilding Comission. 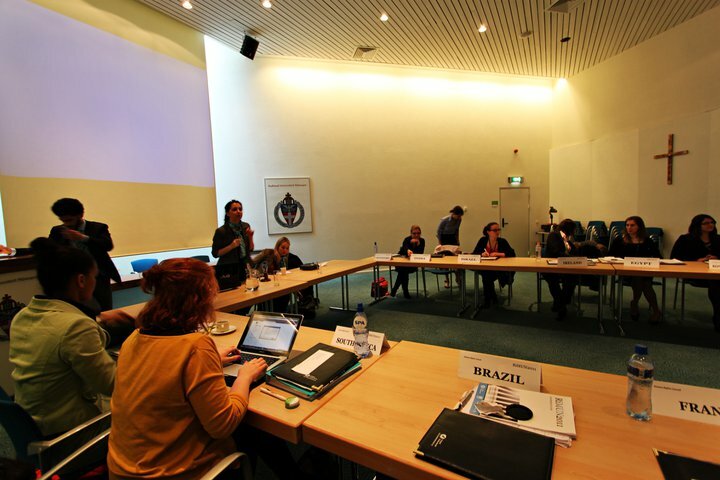 Depending on the body in which each participant decides to work, different topics of international importance will be discussed and debated based on strict rules of procedures which will be implemented by the Secretariat. Each participant has the possibility to express the views and interests of the country he/she represents. Therefore, besides accumulating strong knowledge of global issues, participants will also master: the art of negotiation, public speaking using the official UN language and using the procedural mechanisms set in motion by the UN. Every person interested in taking part in this international event is welcome to apply as a delegate or as a Rapporteur. Applications will be open until late March and will be advertised on the official website. 7. 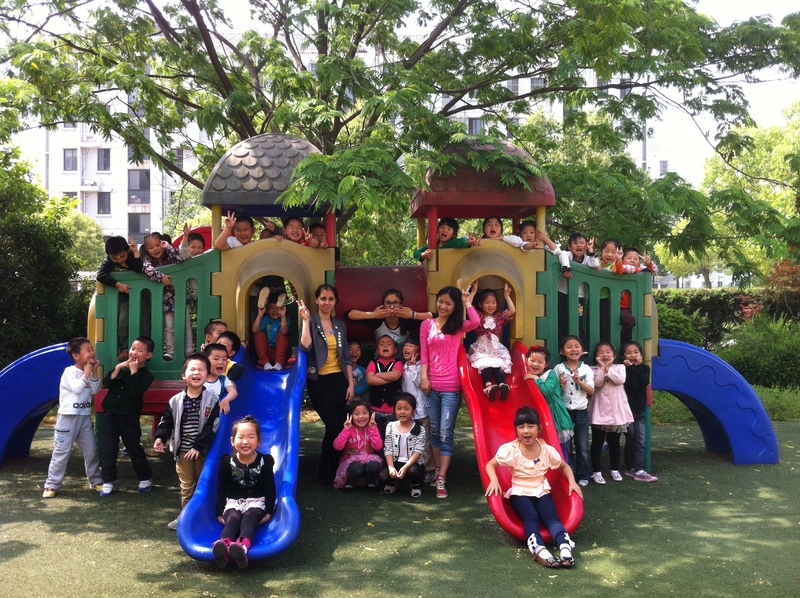 Also in 2012, you were an Intern at the Chunjiang Pre-Primary Potentiality Development Center in Nanjing, China. What are some of the biggest cultural clashes that you’ve had as well as some of your favorite memories and discoveries? And what were your main duties and responsibilities there? To be honest, I don’t remember encountering any major cultural clash. 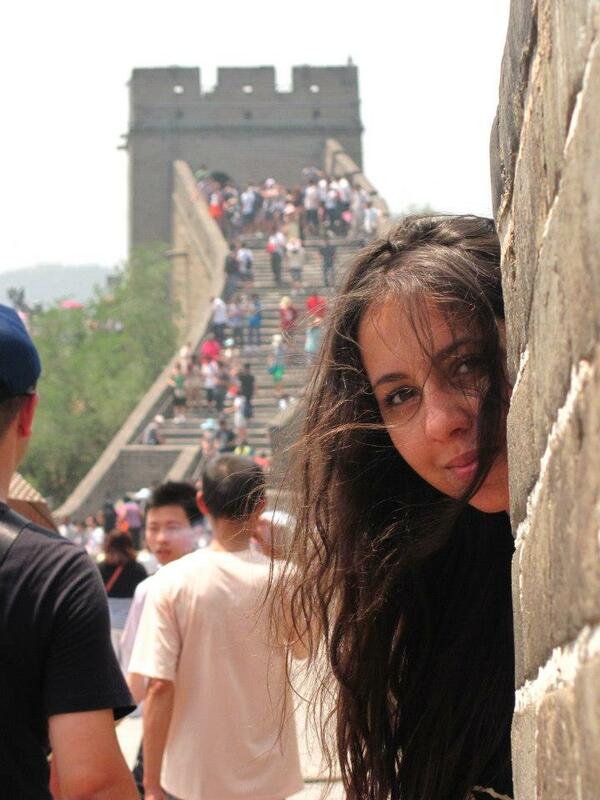 Alex, on the Great Wall of China, 2012. Indeed, there are many differences of culture, mentality and lifestyle but it did not affect me in a negative way. Yes, it was a bit confusing for me as a foreigner to adapt to their openness as neighbors would keep their doors open or they would sleep on a chair in the middle of the market or you’d see cats eating noodles with rice. So, all these are quite amusing now that I think of them because they have their own charm and it definitely made me curious about living and working there. In terms of discoveries, my entire stay in Nanjing was a continuous discovery. Besides this knowledge, the environment, the happiness and fun that comes from bargaining while shopping make China the most attractive destination. On top of that, the history along with well-preserved temples, monuments, gardens and sky scrappers is a breath-taking combination. I wouldn’t miss a chance to go back and even settle down there! This passion I got for the Chinese culture is also part of my work experience there. As you said, I worked for a couple of months as an intern so I could grasp both the touristic and the work lifestyle. As an intern, I was responsible for participating in conferences organized by different universities in Nanjing, I was in charge of developing projects with a human rights focus which I successfully carried out on the topic of Child’s Rights, I participated at different events such as the International Children’s Day where I even danced and I also taught English to children from 2-7 years old. It felt even better than home and I am always sentimental when looking back to the time spent there. Alexandra with most of her students and in the classroom. I felt a sense of accomplishment both on a personal and professional level. China is surprisingly awesome! 8. Any tips to accommodate and adjust better to the Chinese culture, for those that want to travel and possibly, live there? China was not what I expected but way better! So, the first step is to decide to go there and try everything. If you’re not a traveler or you lack orientation, then make sure you have a map with you with the name of the place you’re living in because the chances to get lost are fairly high. China by day is not China by night when the night market is in its full-blossom, where the streets are full with food stands and road shops. And everyone is out! Also, before coming, it would be useful to establish some connections with a local so that he/she can show you around in case you want to travel and visit. If you travel by train, make sure you get a bed even if they tell you it’s too small for Europeans. Also, when you want to purchase something, bargain as much as you can – the real price is half the initial one. As a suggestion, I include rice restriction, as we (Westerners) are not accustomed with it in large quantities and might bring some discomfort. Although there are shops tailored for foreigners, usually the price is pretty high, so make sure you travel to IKEA often in order to purchase chocolate or other Western foods. Apart from this, go out! Experience dancing and singing karaoke in the market or in the park, try Chinese meals – they are delicious, but very spicy! – and use the tiny taxis, eat street food, try Chinese palm reading or flying a kite. If you go with your mind open and tolerant, the feeling of belonging to the community and their mentality, which this implies, will make you even rethink your life priorities! 9. Between 2010 and 2011, you obtained a Master of Arts in Law and Politics from the University of Manchester, UK, with Merit (!). How was your studying experience there and what are some of your practical tips for studying abroad? What was the hardest and the easiest? And how did you feel as a Romanian, studying in UK? I lived and studied in Great Britain for over a year while pursing my Master studies in Human Rights Law and Politics at the University of Manchester. 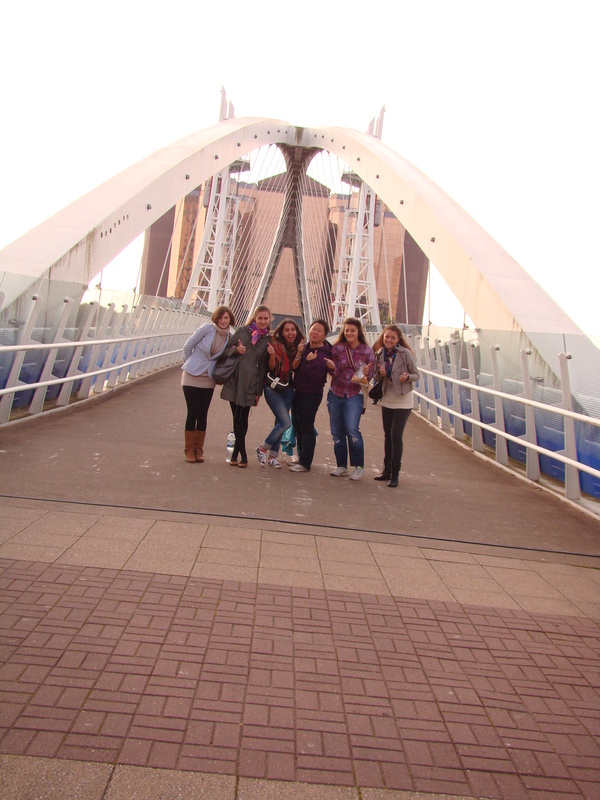 With some friends, in Manchester, UK. Despite being accepted at other programs in Europe and UK, my choice was simple. Manchester University could offer me something other programs couldn’t: a double major including law, although I did not possess a law degree. Plus, it was ranked as the 23rd best university in the world for the social sciences school as well. Therefore, one advice I could offer to any prospective student is to pick the program that is tailored based on his needs and do some research before in respect to staff and career opportunities. The second best advice is to try to accommodate with the thought that living abroad is different from traveling or visiting. Many young people have unreal expectations or ideas about living and studying abroad. So, it is healthy to know that the culture might be way different than you expect and might affect you in various ways. Apart from the parties, the friendships, the multiculturalism and opportunities for development that you already anticipate, there is also that. As a personal experience, I found it extremely challenging to adapt to the rainy weather, which was the main reason why I did not accept to continue my work there. So, definitely the hardest for me was this. While, I guess, the easiest was the academic environment because having studied at an English language program in Romania the standards and academic excellence were similar. I did not encounter any difficulties in this respect and I have to extend my gratitude to my professors from The Faculty of Political Science, Babes-Bolyai University of Cluj-Napoca (Romania). Studying at Manchester University was an experience that equipped me with excellent research and analytical skills, besides the complex in-depth knowledge that I gained throughout the courses. In a highly competitive environment, yet friendly and motivating, professors would enjoy intellectual debates both during the formal course as well as in an informal setting. This certainly adds a big plus to studying abroad. 10. 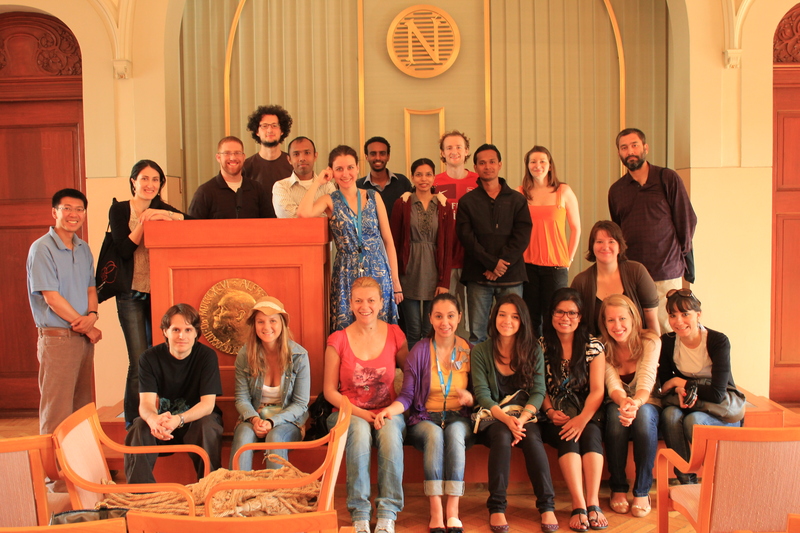 In August 2011, you took a Summer Course on Peace from the University of Oslo, Norway. How did you develop your interest in this topic and what have you learned most valuable about it? Although my experience in Oslo was only for the summer as I received a scholarship for the Peace Research summer program, I confess that I immediately felt in love with the country and the program. The intense study program was based on practical experiences of peace workers and experts from PRIO. Being part of a top-notch program that I wholehearted recommend to every professional interested in peace studies, under the guidance of two devoted American professors, Mrs Kendra Dupuy and Mr Stephan Hamberg, I had the unique opportunity to get trained in conflict studies and discuss international issues with young fellows from all over the world. With her colleagues in Oslo, Norway, 2011. As I mentioned previously, I specialized in human rights, therefore, taking part in the peace research course was a natural step. I am a person who seeks to improve her skills and gain more knowledge, thus, this was a great opportunity for me to gain a holistic understanding of human rights issues. During the course, I managed to get trained by specialists in the field, mostly researchers from PRIO, and finally comprehended the complexity of conflicts. Starting from Galtung’s theory of conflict to peace building and responsibility to protect, this program exposed me to the process of conflict and how people and institutions play different roles in finding a resolution. In Nijmegen, The Netherlands, 2011 and Strasbourg, France, 2012, presiding Conferences on Peace and Human Rights issues. Up till then, I was not very familiar with the complexity of peace processes in the African continent neither with the women’s role in that particular area. I recall the Liberian conflict under the presidency of Charles Taylor, more specifically the women’s movement under the leadership of a young woman known as the Black Diamond. I believe this is an example of courage and determination for all women coming from conflict areas and not only. Living in a society where men inflict pain is what brings women together and in this case, it brought them into the war. Liberia’s case and the women movement is a valuable lesson because women penetrated the “world of men” by taking up arms and fighting for themselves. We need to acknowledge that these women witnessed the horrors of war – their families being killed, raped and drugged, while their children – sometimes as young as five – were recruited into guerrilla or pro-government militias either in the country or in the neighboring states. But these women brought peace in the region and due to their efforts Liberia managed to draft a peace agreement. This example of conflict resolution is one of my favorites because it shows the power of women and that women are disregarded or poorly understood when it comes to politics! 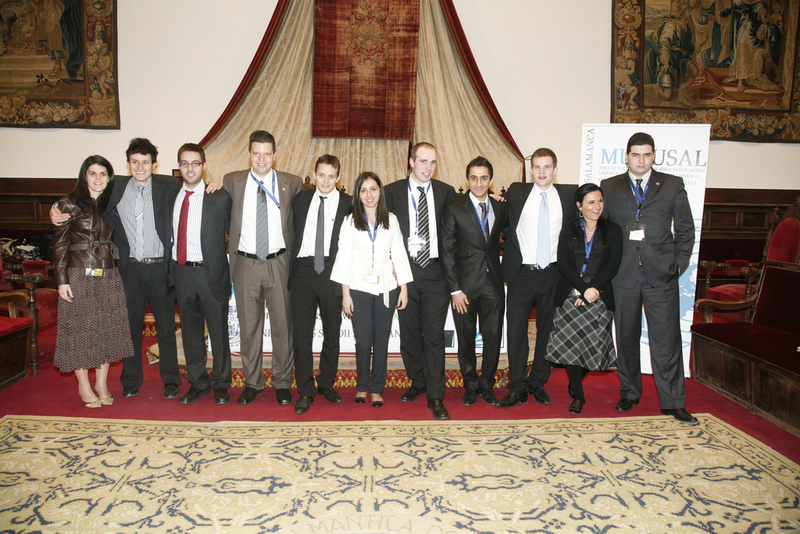 As a Chair of Security Council at Salamanca International Model United Nations held in Salamanca, Spain, Alexandra moderated a Conference on “Women and War”, 2010. In the end, an excellent program, no matter its subject/field, is the one that enables you to expand your vision and motivates you to further your work in that field. The Peace Research summer program successfully managed to inspire my work. 11. In today’s world, that seems to be filled with conflict, is there any hope for building a more peaceful world, and if so, what would be the steps, in your view and from your experience? Hope is something we never loose, so, I wish we carried on working for building a peaceful world despite various actors’ failures to ensure it to their people. The way I see it, there is a slight misunderstanding of what peace means, thus, it’s hard for us to know how to achieve it. Peace in the common understanding means the absence of war. But, that is far from being the case and peace scholars are fully aware of this misconception. Violence comes from action, action comes from words and words come from thought. People should stop thinking negatively which would consequently lead to a peaceful communication that obviously leads to a tolerant behavior towards others beliefs, rituals and lifestyles. This is what we can do as individuals! On the other hand, governments and international organizations should invest more in peace studies and projects that promote peace and intercultural or international cooperation. I would go even further than that in suggesting that peace (either through a peace commission or council) should become a pillar in the governmental structures irrespective of the internal situation of each state. 12. Could you recommend us some resources that would help us understand this issue better? One great resource that I find extremely useful is the book “Unintended Consequences of Peacekeeping” which explains peacekeeping operations using both academic analysis and field research. I warmly recommend you to read my book entitled “United Nations: The Legal Responsibility for Peacekeepers’ Human Rights Violations” that looks at both the legal and moral responsibility of UN in conflict-ridden states. I would also mention the nicely written article on “Give War a Chance” as it provides a different perspective on conflict. Ingierd’s dissertation on “Moral Responsibility in War: A Normative Analysis Focusing on Peacekeepers” which is an in-depth study over norms of responsibility and morality is also a practical suggestion for experts from different fields of expertise. Some good articles are: “Responsibility and Culpability in War”, “Peacekeeping and the Sexual Exploitation of Women and Girls in Post- Conflict Societies: A Serious Enigma to Establishing the Rule of Law” and “Transnational Dimensions of Civil War”. Other resources that I suggest for reading are Thakur’s book “The United Nations, Peace and Security. From Collective Security to the Responsibility to Protect”, Prince Zeid’s Report “A Comprehensive Strategy to Eliminate Future Sexual Exploitation and Abuse in United Nations Peacekeeping Operations” and the Additional Protocol to the Geneva Conventions of 12 August 1949, and relating to the Protection of Victims of International Armed Conflicts (Protocol I). 13. Having, as one of your main professional interests, the empowerment of women in post-conflict areas, can you tell us some practical ideas and steps that women in that situation can take? And how about the role of the institutions and organizations that are aimed to protect them? Are they effective? It is impossible for me to speak in the name of those women mainly because I haven’t ever been in a similar situation. Women from conflict-torn states as well as civilian men are undergoing inhuman treatment. The range of atrocities is horrifying and living under threat can paralyze anyone. Therefore, inaction is also perfectly understandable. If we only refer to post-conflict situations, women can play a major role in shaping the future of their new societies. As we have already seen, many women took leadership and established organizations fighting for refugee rights and protection, a better election system and inclusion of war victims in the community. The way in which women could get involved in the post-reconstruction and peace building process clearly varies depending on the local context. For example, a woman from Uganda might help the community in various ways, some of which I have already noted, such as making use of the micro-loans available in agriculture, crafts in order to financially support the family. Note that these women might be the sole providers for their families after the war ceased. They could also act as leaders of their community by gathering support and even competing in elections or leading change at a local level. Women have been disregarded as possible social and political actors, but women are most suitable to outline the future of these torn societies as they were the victims upon which most suffering was inflicted. As I mention in my book, “United Nations: The Legal Responsibility for Peacekeeper’s Human Rights Abuses”, even the agency responsible to protect these women abuses its power. So, who protects them against their “protectors”? United Nations, however, has done much in this respect in order to ensure transparency during peacekeeping operations and to prosecute the soldiers. Unfortunately, we deal with fear, with a high bureaucratic system and with unaccountable governments. For this reason, based on the concept of responsibility to protect I believe that women and children’s safe haven is for peacekeepers to fall into the United Nations’ jurisdiction. This would ease the entire prosecution process and abusers will be punished according to international law norms. This is indeed a daring proposition for governments, but I am confident that given the developments from the last century, it is not a far-fetched goal. 14. And what about us, from afar, how can we help? Depending on our backgrounds and possibilities, we can either support different local and international NGOs with donations. But even more efficient would be to travel there and offer our skills even for a short-term, in case we can afford it. Another option could be sponsoring a child to go to school, and I can recommend ICEF Canada for its amazing work in Uganda, where it opened the Tekera Centre that includes a clinic, an elementary school, a crafts club and a farm. You can find more about this project on their official website. And, of course, volunteering or getting involved in NGOs that aim to address these issues. These are the ways in which one could help tremendously. 15. In the end, what can each and everyone of us do to lead more peaceful lives and therefore, achieve a more peaceful world? Yes, if we become aware of how much we can solve just by loving and caring even our most distant neighbor, peace would stop being a goal and turn into a state of being. The first step that we could make is to undo the teaching of hate; this constant fight with normality that places us in different frames is just recreating hate which leads to violence (physical or not). I admit it is hard for everyone to detach from any pre-set lifestyle norms and guidelines that radically divide us into different groups. But, if it is to narrow down what’s important for everyone is the sense of being loved. And if a person manages to love himself/herself, the rest follows as a domino. I am doubtful in what capacity this process relies on family or school education – it surely helps – but I tend to agree more with peace being a self-discovery and self-taught process. Perhaps, analyzing your actions and thoughts at least once a day may lead to inner peace; and imagine if each of us would subject himself/herself to a similar process of thought. It makes me enthusiastic to think of the day when the world would not know such word as peace, because peace would just be because it is! 16. Alexandra, how would you envision a desirable future world? How would your perfect world be? I wish for the future world to be wiser than the present one, to know that individualism and consumerism makes humanity inhuman. I would like to see technological advancements used with humanitarian purpose in an equal, fair and transparent manner. This includes medical innovations that will ease human suffering and help find cures for illnesses that we are currently struggling with. In a nutshell, my future world would be a global family where everyone bears responsibility for their kin. 17. And if you could say something to it, what would it be? Don’t pride yourself in ignorance, be humble in servitude! Alexandra, thank you so much for such an insightful and comprehensive interview on the topics of peace, conflicts, justice and women’s issues. Dear friends, for more info or regarding future work for Alex, you can contact her at: alexandraamatei (at) yahoo (dot) com. Thank you for stopping by, Simona! :) I am glad you enjoyed the interview! and yes, she is quite amazing and we have lots to learn from her experiences. Thank you for your kind words simsim:) I feel humble in front of such appreciations.